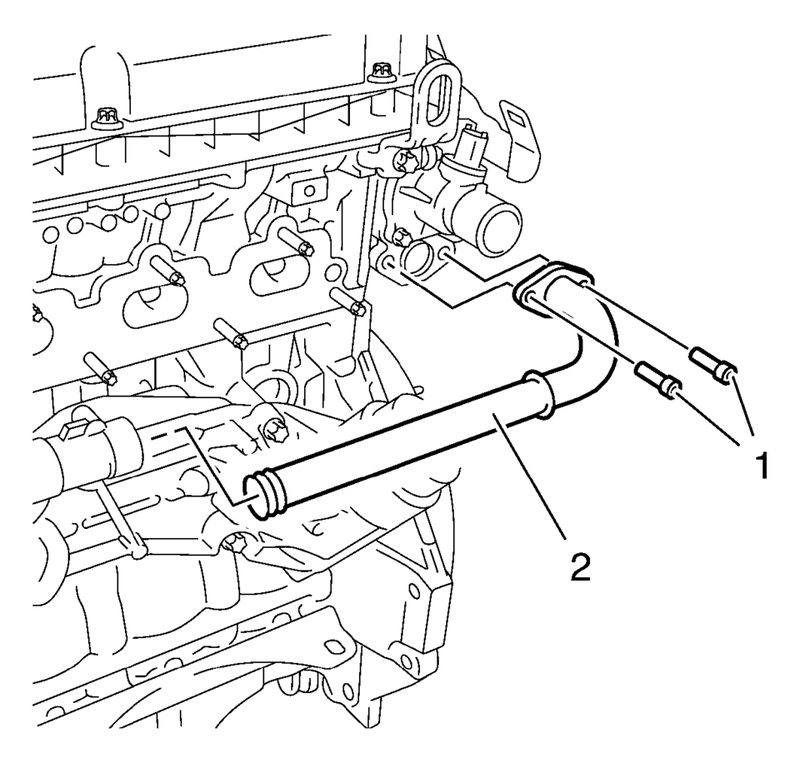 Remove the 2 engine oil cooler pipe bolts (1). Remove the oil cooler pipe (2). 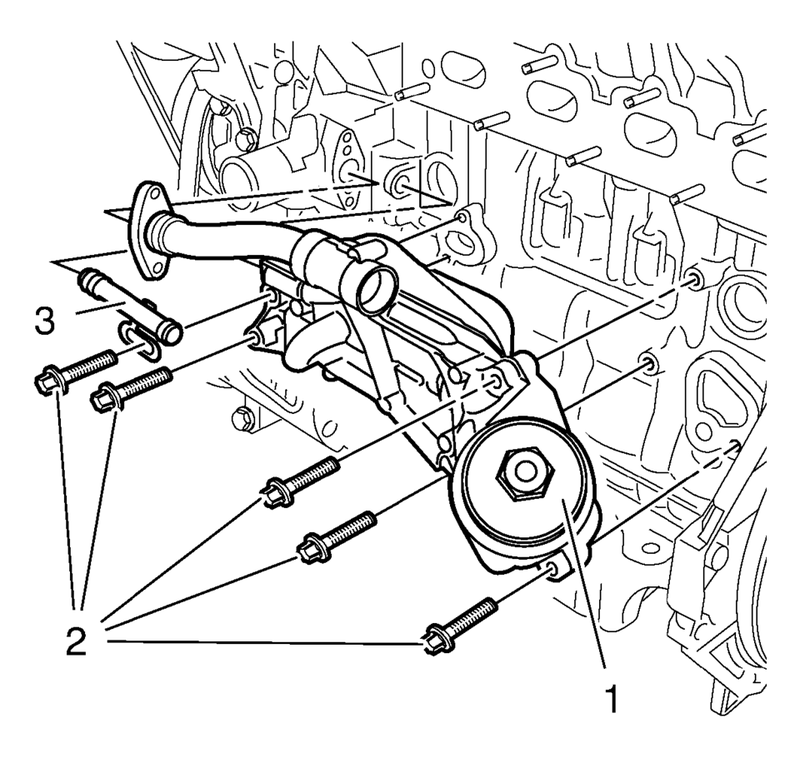 Remove the 5 engine oil cooler housing bolts (2). Remove the engine oil cooler housing (1). Remove the engine oil cooler inlet pipe (3).